Our private lessons in guitar, bass, keyboards, and drums are available in 30 and 60-minute sessions with flexible scheduling, so you can progress at your own pace. Maybe you'd rather be the instrument - in that case, come learn more about our singing lessons. And those are only scratching the surface of the unique services at Guitar Center Lessons in Alexandria, which also include jam sessions, recording lessons, group lessons and more. Want to know what it's like to be in a band? Ask us about our Rock Show program, which connects you with other musicians at your skill level to get the full experience. Guitar Center Alexandria provides comprehensive guitar repair services for the Alexandria area. Our repair technicians are as passionate about your guitars and basses as you are, and we have the experience needed to keep them performing at their best. Whether you need a quick adjustment to make your guitar easier to play, or a complete guitar rebuild, we have the tools and know-how to take care of your instrument. 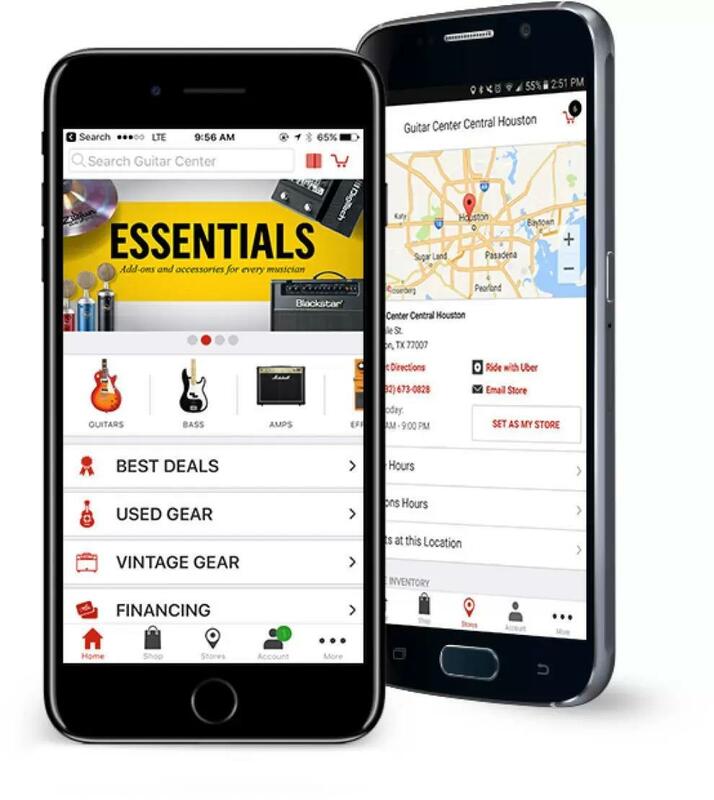 Guitar Center Alexandria can also help build a maintenance plan that fits you and your guitar or bass needs, including custom setups, restrings and more. We also take care of fret repairs, hardware and pickup installations, upgrades and customizations, bone and graphite services and more. A massive selection of instruments and equipment, and a friendly expert staff can always be expected at Guitar Center Alexandria. We’re excited to be welcoming musicians, DJs, and sound technicians from all over Virginia to our 15,000 square-foot store. Located on Duke St. between Yale Dr. and N. Quaker Ln. we're very easy to find, and once you walk through our doors, you may never want to leave. In fact, creating an enjoyable atmosphere for musicians of all skill levels is something we take great pride in our Alexandria location perfectly reflects Guitar Center's reputation for being the greatest music store in the nation. Drop by any day, and you might find yourself chatting with others about new instrument and gear arrivals, witness future stars hone their skills with staff members, or find aspiring DJs test out the latest software in our Live Sound Room. Whatever your aspirations may be, Guitar Center Alexandria looks forward to helping you reach your goals, so please stop by! We're open seven days a week for your convenience.